Ever wonder why she’s not smiling while she’s dancing with you? Why she seems to be making “a list” in her mind? Why is it that she smiles and enjoys herself with that guy over there, but when she dances with “You”, her face becomes a BLANK STARE? What is it about your dancing that she’s not impressed with? You know all the moves, combinations, and turn patterns. and you STILL can’t seem to create that magic with her? Never before has a workshop like this ever taken place. In this Ground-Breaking and UNPRECEDENTED 1.5-hour long DVD for men, Edie addresses specifically what men have been dying to know about women – for centuries. What goes on in a woman’s mind? Am I not “good enough” for her? 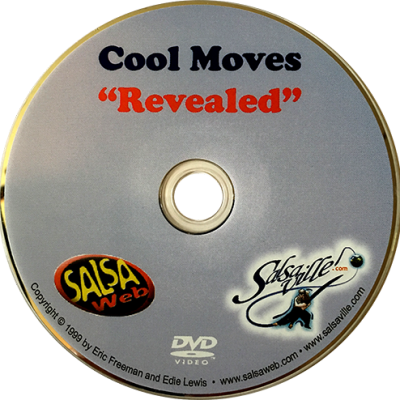 Do I not know enough moves? Why does she seek other guys to dance with, and I have to practically BEG for her to dance with ME? What is HE doing, that I’m not? How can I possibly satisfy her? 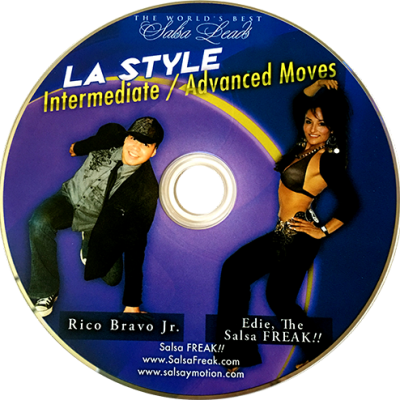 With a refreshing openness and honesty that only Edie, The Salsa FREAK is known for, you will learn styling, appearance, attitude, facial expressions, body gestures, posture, finess, inner strength, affection, Musicality, and WHAT WOMEN TRULY WANT FROM YOU. Surprise her with MASCULINE Hot and Steamy patterns and secrets that are simple, yet impressive. Perform slick moves that emit your dominance as a male. Learn secrets ONLY WORLD CLASS LEADS know and understand. Make your dance style SKY ROCKET to the next level. Take what you will learn BEYOND the dance floor. Increase your COMPREHENSION of the female species. … She will Love it!! 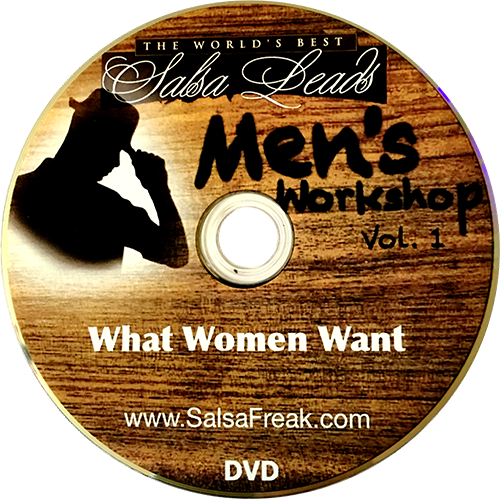 Edie has been mentally preparing this Men’s Workshop DVD series since 2005. She herself could not figure out what made her “tick” with certain men, and “not” with others. When she finally figured it out, she couldn’t WAIT to share it with the world. Edie explains and demonstrates what exactly women want from their male partners. She not only unveils deep secrets within the minds of women, but also uniquely dispells MANY myths, beliefs, and misconceptions from both the male and female point of view. This is Volume 1 of a Seven-Part series. The PERFECT gift for the MALE(S) IN YOUR LIFE! !